2014 will be an amazing year for football and we’re getting well and truly in the spirit by looking at loads of cool football videos, books and stories. 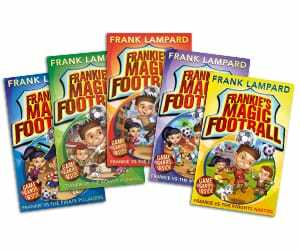 One of the things we’re excited about is Frankie’s Magic Football – a series of books written by the football legend Frank Lampard! It’s all about Frankie, Louise, Charlie and Max who love playing football. But when they come across a magic football they end up on adventures and playing footy with some of the strangest opponents ever, including the Romans, Pirates and even Cowboys! 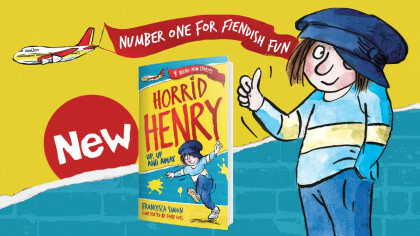 There’s currently six books for you to read, including the brand new book Frankie and the World Cup Carnival! 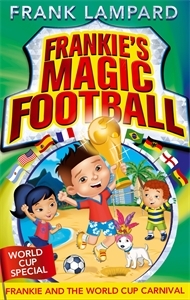 Want to find out more about all the Frankie’s Magic Football books? Click on one of the titles below or meet the characters from the book! And who better to tell you all about it than the man himself, Frank Lampard!